The lack of long term observed data is the main challenge in many simulation-based studies for identification of nutrient critical source areas (CSAs). 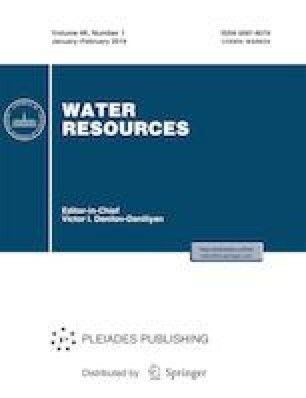 This study explored the effect of calibration of the Soil and Water Assessment Tool (SWAT) on identification of nutrient CSAs and evaluated capability of this model for finding CSAs under the limited data condition. For this purpose, the Zrebar Lake watershed in Iran was used to assess the variations in total phosphorus and total nitrogen CSAs identified by both calibrated and uncalibrated SWAT models. In this study, a modified version of SWAT model was used for calibration the model considering observed lake water quality data and also for simulation of lake water quality and quantity interactions with the watershed management practices. The nutrient CSAs identified by calibrated and uncalibrated models showed that the irrigated farmlands were the main sources of nutrients discharged into the lake in which alfalfa, apple and tobacco were marked as the most polluting cultivations. It was also concluded that CSAs were not considerably different based on the calibrated and uncalibrated models. This validates the capabilities of SWAT on marking CSAs for areas with lack of long term observed data.